Digital Asset Management Scenario #5 in RSG's newly-updated roster of DAM vendor evaluation criteria is an essential use case for more sophisticated enterprises looking to support multi-channel marketing asset management. In this scenario, the DAM system functions as a central repository for re-usable marketing assets like the “Advertising & Marketing Asset Management” scenario, but here the DAM may generate and distribute renditions and derivatives to multiple systems of engagement. Enterprises with maturity in this scenario position their DAM as the “engine” of their marketing stack. Bidrectional integration with multiple systems becomes paramount here. Connectors to systems such as Web Content Management, Marketing Automation, and Social Publishing tools are commonplace, but more power comes with the flow of reporting data that flows back to the single DAM “hub.” Enterprises with this model can analyze the effectiveness (and ROI) of their assets where the assets live, not in multiple disparate systems. They key thing here is that your DAM must be able to support complicated parent-child relationships. This is similar to — but even more advanced than — catalog management, where you need to track compound assets. Here you have compound assets (e.g., variable text overlays on a marketing image), but also additional asset variations. You need to make sure your DAM can distinguish between renditions – different sizes or file types – of the same asset, as opposed to true derivatives – where the asset itself has been modified. Both types need to be tracked, but you are likely to treat them differently, particularly with respect to approvals, metadata, and lifecycle. 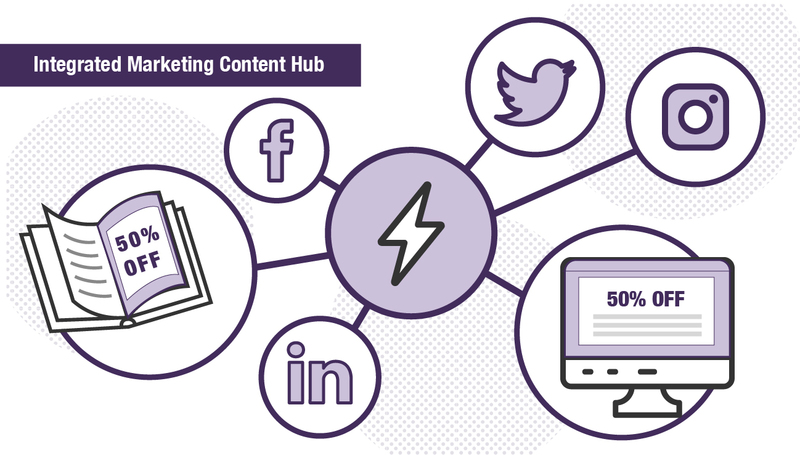 Is Integrated Marketing Content Hub one of your scenarios? Find out which vendors are best suited to this scenario by using RSG's RealQuadrant Shortlist Generator as part of your DAM research subscription.